Insight’s English Year 12 2nd edition is an up-to-date, comprehensive and practical guide to Units 3 and 4 of VCE English for the 2017–2020 VCE Study Design. 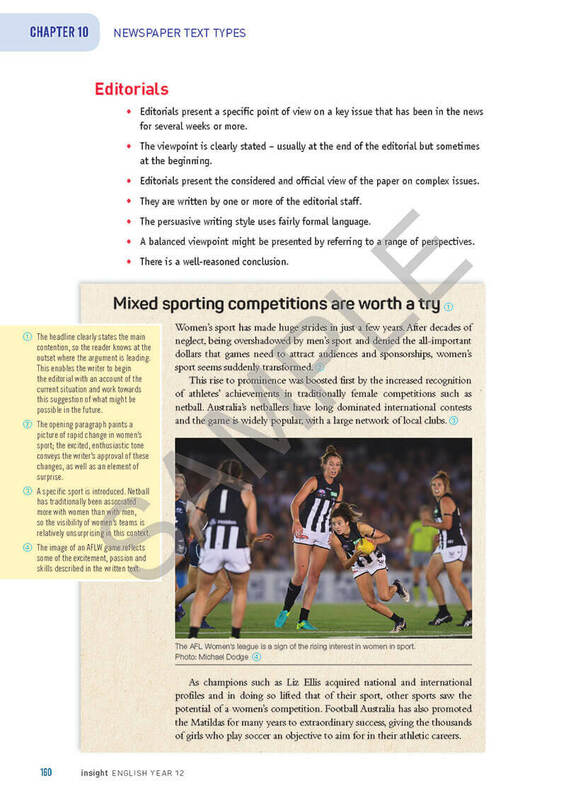 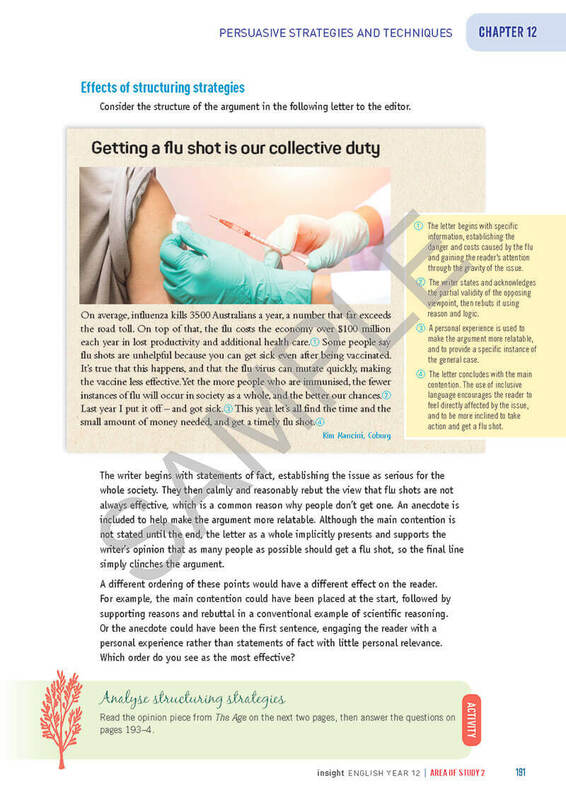 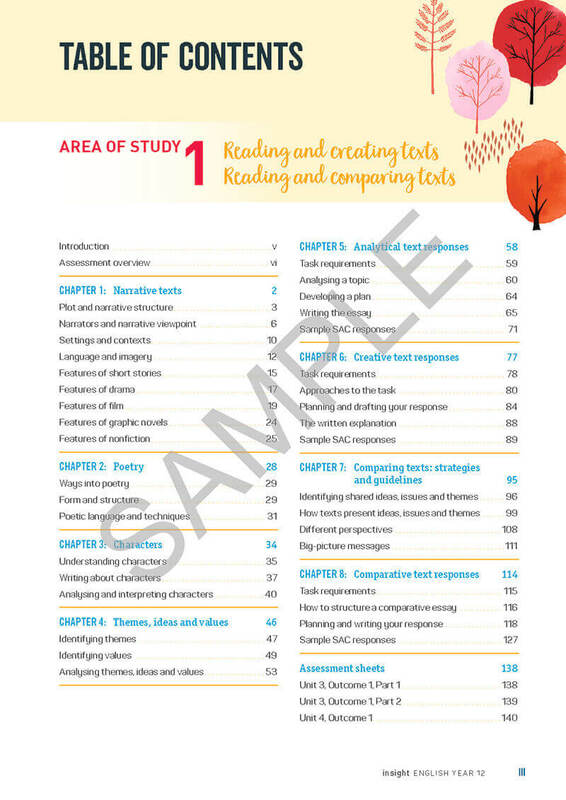 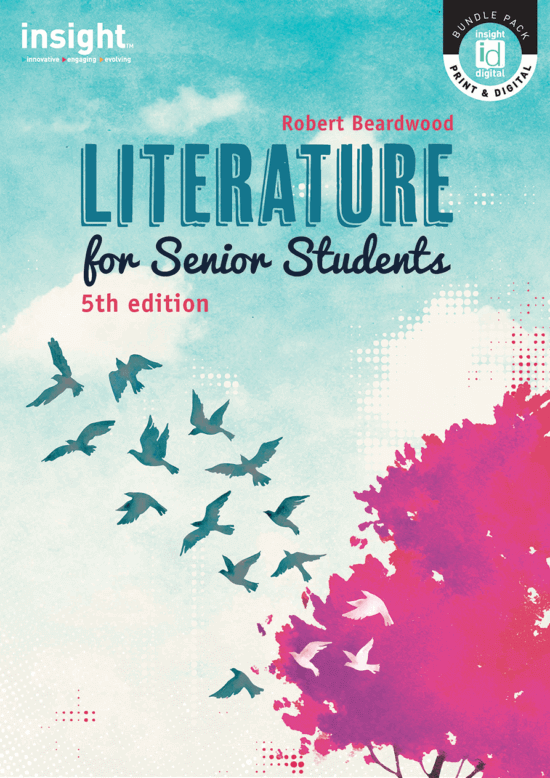 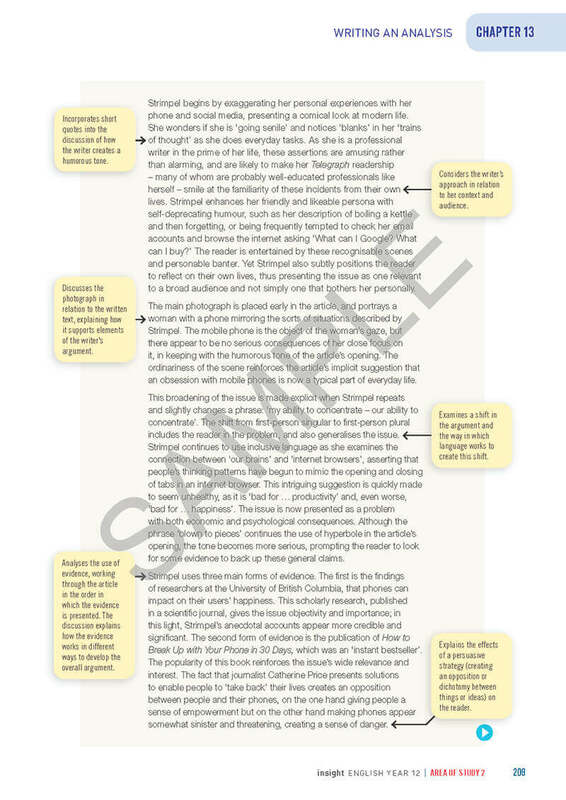 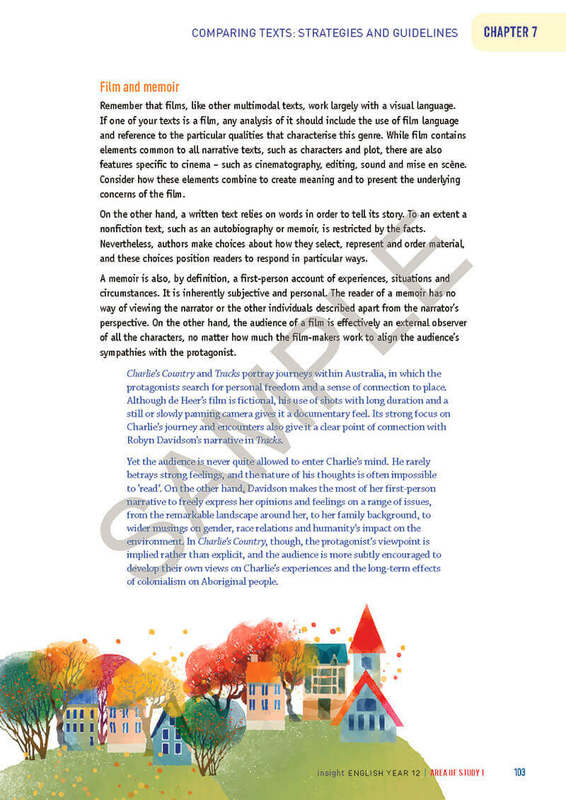 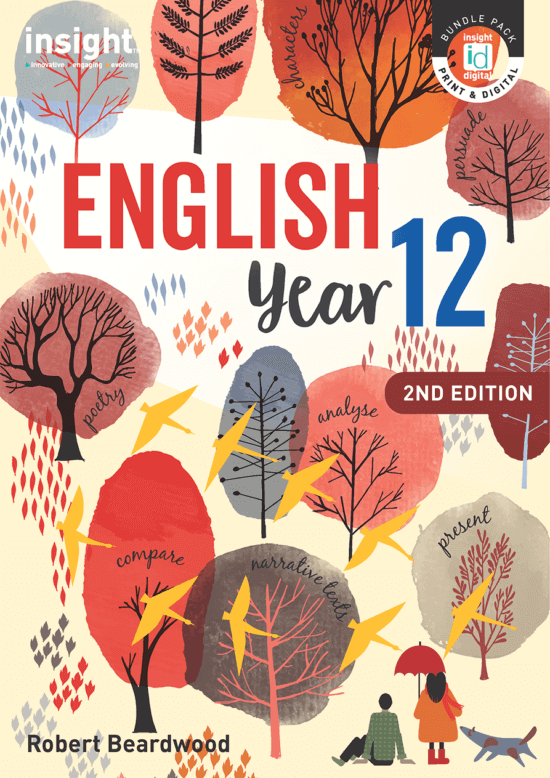 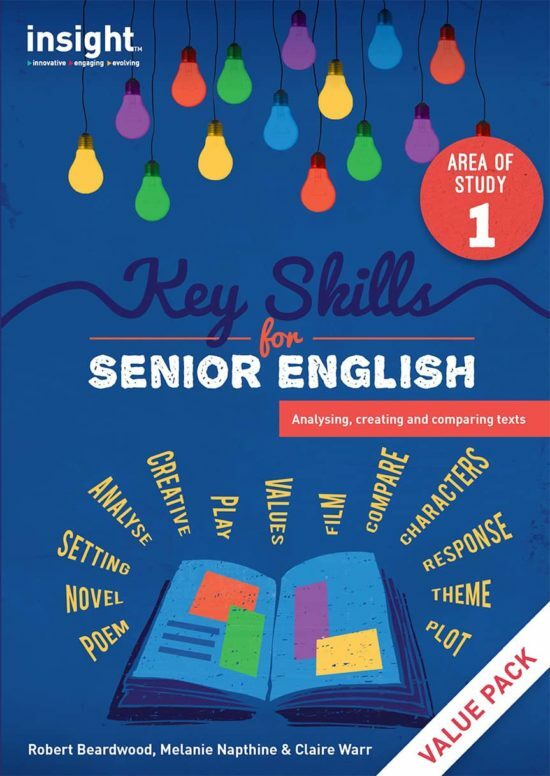 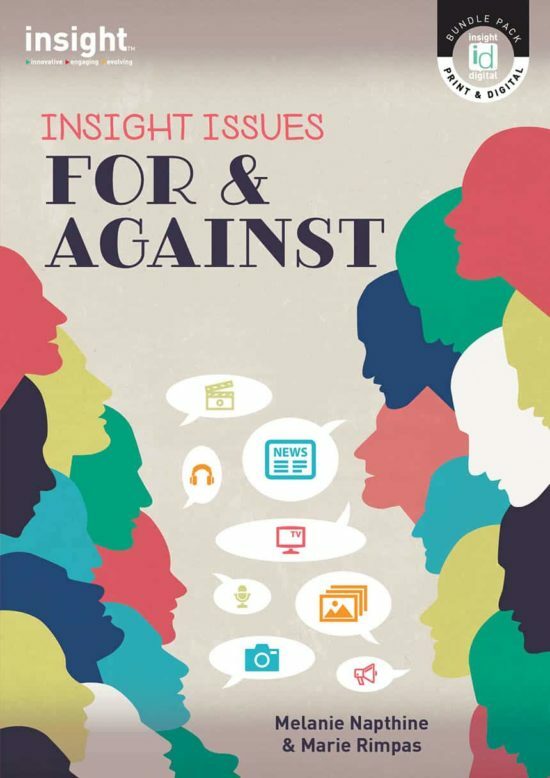 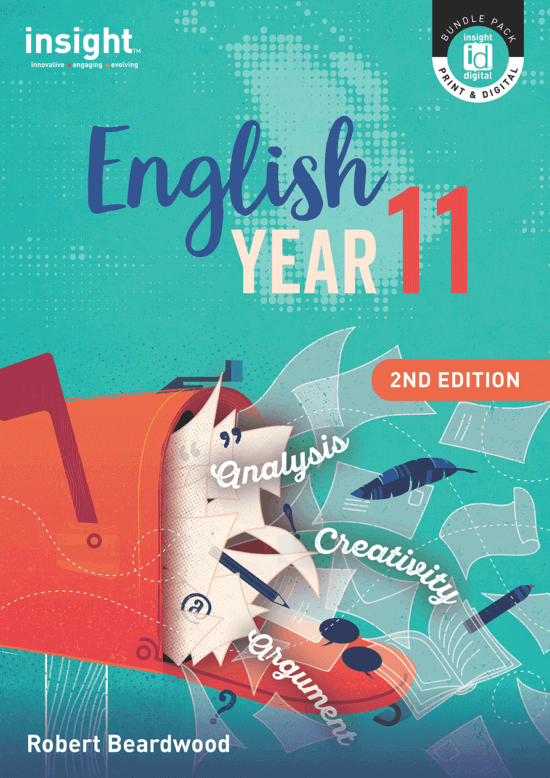 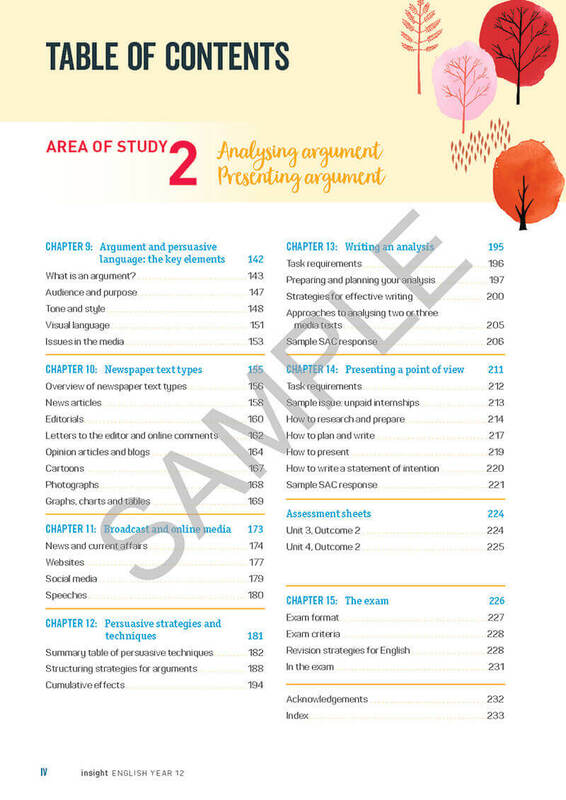 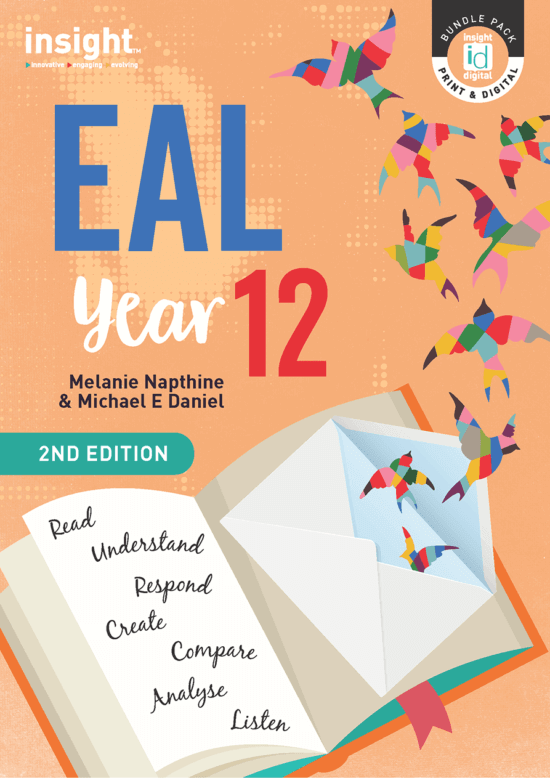 With definitions and explanations, models, step-by-step guidelines, annotated sample responses and numerous activities, this textbook develops students’ confidence in writing, analysing, and presenting a point of view, providing the tools for success in Year 12 English. 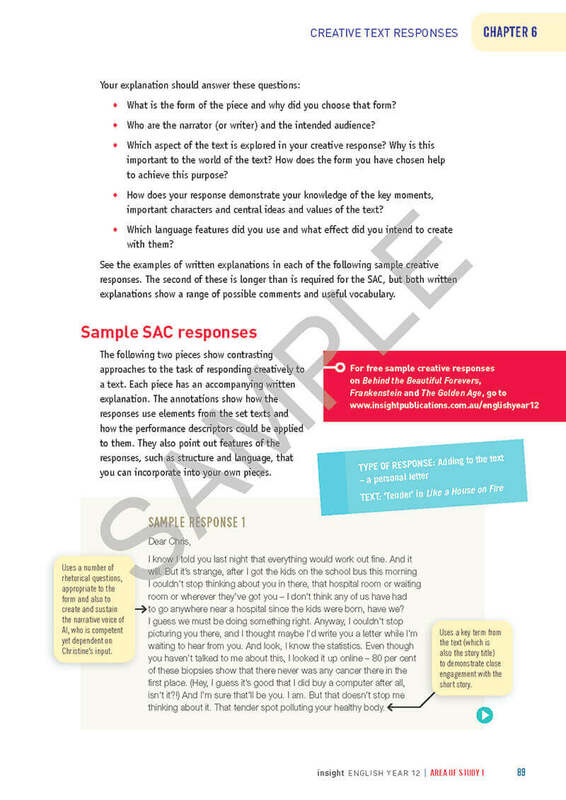 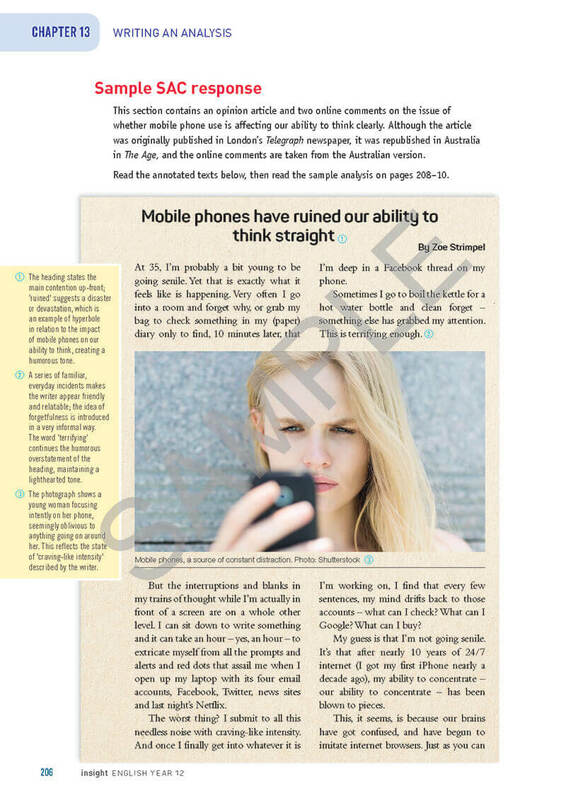 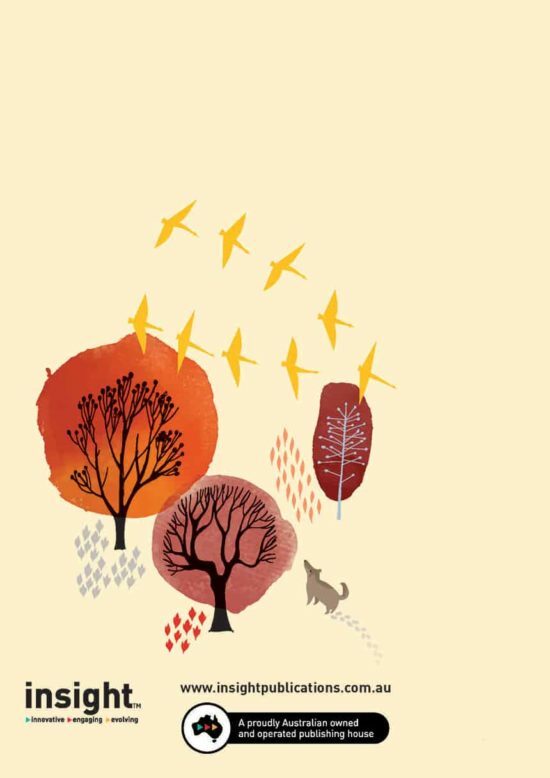 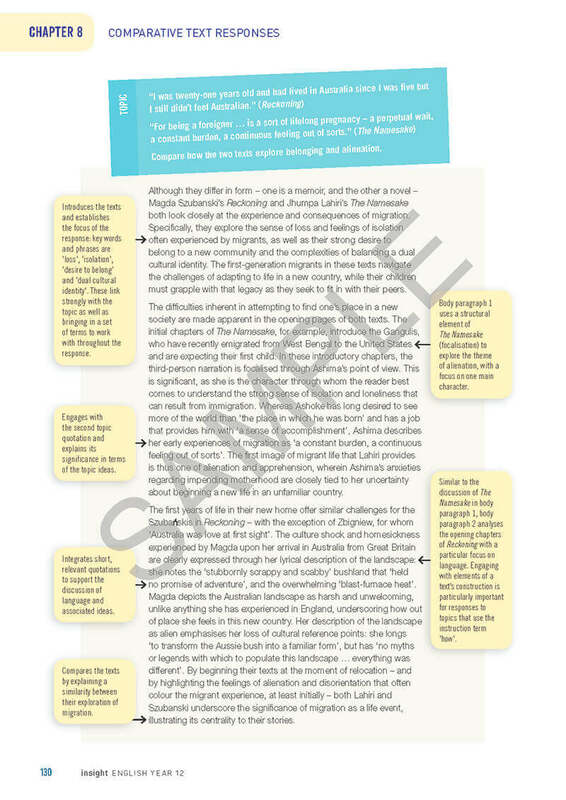 An exam chapter with revision strategies and tips for success.